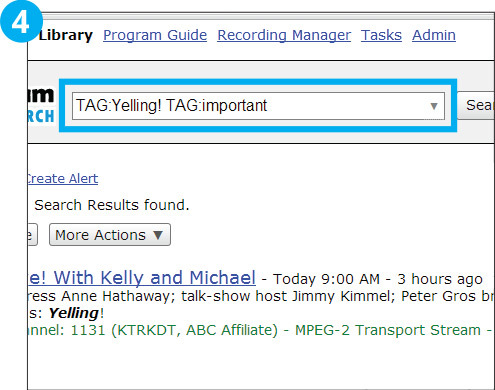 Video tags add a customized layer of searchable meta data, along with the closed captioning and program guide meta data. 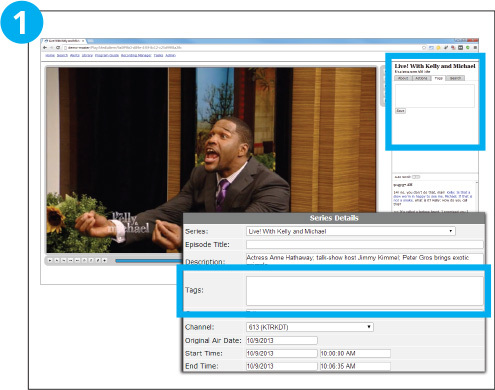 Video tags can be used to identify visual cues, non-verbal content, or other important information that might not show up in the closed captioning or program guide data. 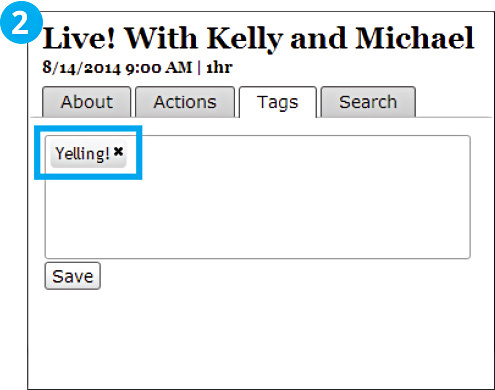 For example, if you want to tag scenes of people who are yelling and screaming on TV, you could create a tag called “yelling!” You would then apply this tag to any clip you make where a character or media reporter is yelling. Start by adding tags in the “tags tab” in the Web interface or in “series details” of your clip under “More” > “Edit Item” in your clips library. Type your tag in the field and press “Save.” Tags can have spaces and punctuation and they represent the entire clip (not time-coded). 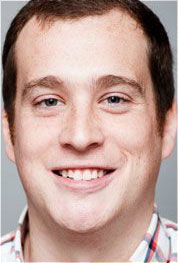 They are immediately added to the search engine. 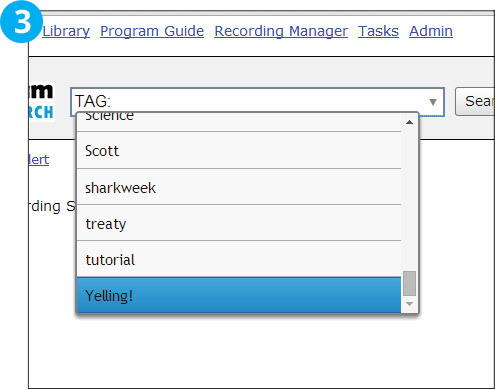 Typing “TAG:” would reveal a list of all the tags in the system. You can even search for multiple tags.